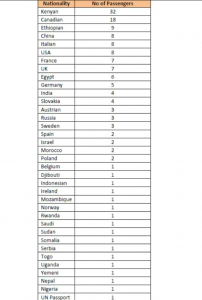 Nairobi from Addis Ababa, has released nationalities of the victims of crash. victims were of 35 Nationalities, which comprises 149 passengers and 8 crew, with no survivors. The plane crashed six minutes after take off. Information will be provided once the cause is identified. The Airlines promises to provide all necessary support to the families of the victims. Ahmed Nur Mohammod Nur who had a flight hour of 200.
to its yet another flight bound to Nairobi underwent a rigorous first check maintenance in February 04,2019.
families of the victims and their loved ones on the tragic plane accident. 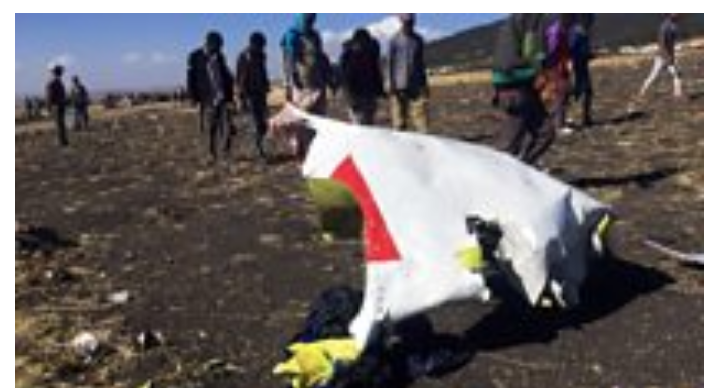 Ethiopian Airlines will release further information as soon as it is available.